Welcome to Barrel19 Bistro & Bar! Barrel19’s unique floorplan allows for a variety of seating options. Whether you’re looking for a place for scoring after a round or catching your favorite Bay Area sporting team on one of the flat screen TVs, the Sunnyvale Golf Course restaurant’s full-service bar offers a fun and casual environment with 10 beers on tap including popular craft brews, house wine, assorted spirits and a weekday happy hour menu. 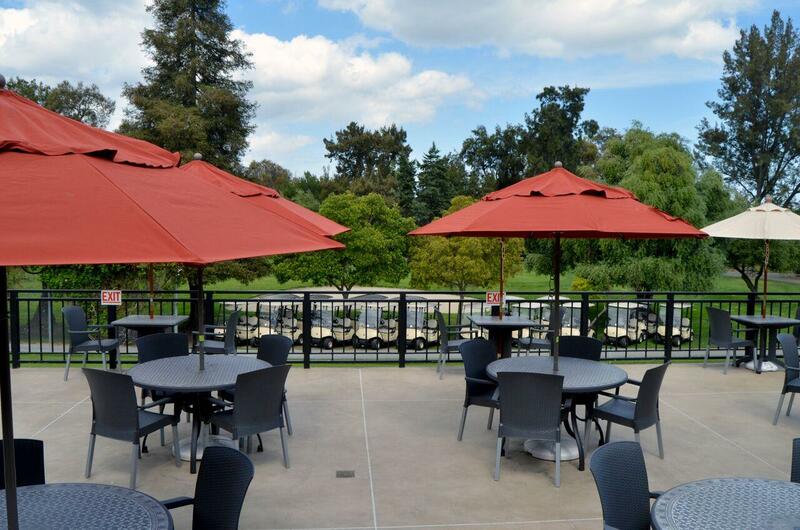 For a more relaxed experience, enjoy breakfast or lunch in our bistro or savor the weather and dine al fresco under the umbrellas on the large wrap-around patio overlooking the golf course. Adjacent to the patio, our elegant ballroom is adorned with sparkling, crystal chandeliers and can accommodate a variety of large groups. The space features hardwood-like flooring and large picture windows that allow for natural lighting and views of the emerald fairways. With an outdoor golf course lawn or terrace wedding ceremony site and stunning reception facilities, Barrel19 is the perfect place to host your wedding. The banquet facility also offers catering for corporate events such as luncheons and holiday parties, golf tournament banquets and other special events. For more information on group accommodations or booking a special event, please click here.